Brand new UPGR8 oil sandwich plate adapter. Made of high quality T6061 aluminum. • 3/4-16 UNF Fitting Fits Most Nissan/Toyota/Suzuki with 1/8NPT Inlet/Outlet. 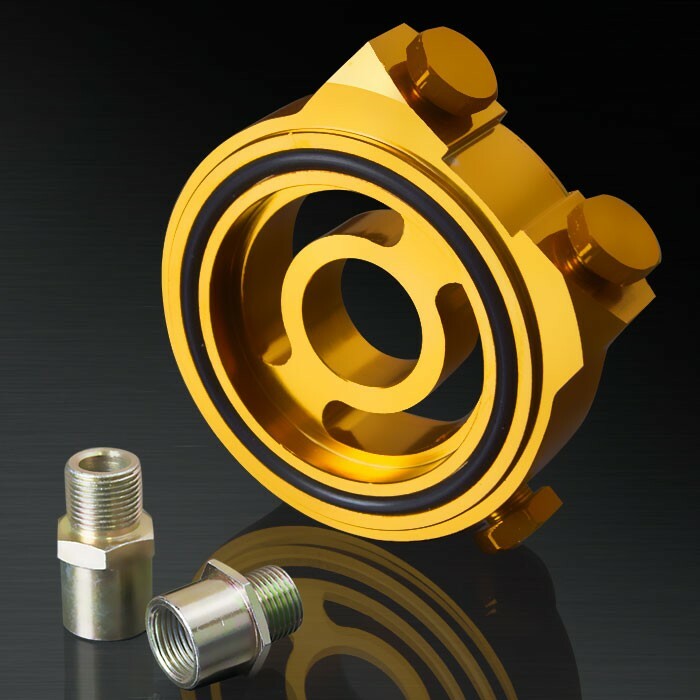 1X 3/4-16 UNF Thread Adapter. 1X 2.5'' O ring with Sandwich Plate. 3X 1/8NPT port plugs for easy way to install oil temperature or oil pressure sensors insertion.It will also work with 1/8NPT oil feed line to turbo.